Dairy – Water is an essential nutrient for dairy cattle and a key factor in milk production. Water has a direct influence on the quantity and quality of milk production. A dairy cow needs at least 3 litres of water in order to produce 1 litre of milk. High performance dairy cows drink 150 litres of water every day. The quality of the water is essential in milk production and to keep dairy cow’s healthy, which in turn comes back to milk production. It’s crucial to have properly treated water to ensure their is no contaminants that could put your dairy cattle at risk from disease, or the very least effect their production rates. Agrismart use a chlorine dioxide water treatment which is both more effective than other disinfectants at lower concentrations, and doesn’t leave the bad taste and odour that chlorine based disinfectants do. This is a guide to dairy cattle’s water requirements but can be dependent on circumstances, environment, and diet. Dairy cows water tanks should supply 30 – 40 litres a minute, a cows water bowl needs to supply above 20 litres of water a minute. Dairy cow’s water isn’t the only requirement for water on a dairy farm. Sanitation of the parlour and milking equipment is crucial for milk quality, and plant cleaning should be done with a full hot wash after every milking, not just once a day. Thorough cleaning is essential to control Bactoscan readings ensuring all surfaces and equipment are cleaned of milk residue and bacteria. This is also crucial to control the pathogens that can cause mastitis to prevent it spreading throughout the herd. All water used in the cleaning process needs to be treated and of drinking quality to prevent the spread of bacteria. 1 – 2 taps running at 20 psi / low pressure will use 45 litres of water a minute. Cattle need to be able to easily access their water troughs. 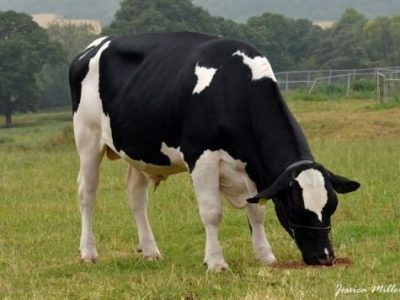 If there is insufficient space or slow trough refill the dairy cows will become distressed and this will impact milk production, general health, and well-being. Dairy – Agrismart provide a complete and bespoke water solution. We offer a no obligation site visit to determine the best water management solution to suit your dairy farm’s unique requirements. Our aim is to identify high water users in dairy farming and present them with a solution that costs less than their annual water bill providing free water for their business with an ROI in under 24 months. Agrismart offers agricultural water management tailored to your unique requirements. Our water management specialists offer a no obligation site survey to establish the best solution for your farm. Zero Energy Pump – If you have a water supply on the farm it may be possible to offer a zero energy pump to eliminate or minimise the need for a mains water supply. Agrismart currently have Livestock ID, equipment ID and secrity tags in production!